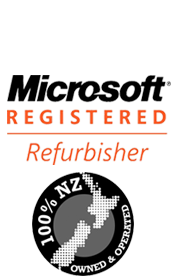 We provide a Free Pickup service for more than 5 items Auckland-wide, including a mixture of Laptops, PCs, Servers, Full-size Networking Server Routers/Switches, or LCD Screens. For less than 4 items you may drop off your items, 7 days a week, from Monday to Saturday, between 10 a.m. and 7 p.m. and on Sundays, by appointment at 10A Honan Place (Off Rosebank road), Avondale, Auckland 1026. For pickup please complete the details below and we will contact you shortly.